Moths fly in large numbers during spring and early summer. They do not feed. Caterpillars appear dirty white with grey back and a deep brown head. When handled they will regurgitate a dark brown substance. Porina are a complex of caterpillars occuring throughout New Zealand but damaging populations are uncommon in the northern half of the North Island. The moths fly in spring, summer, and early autumn depending on location and species present. The moths don’t feed and live only a few days. 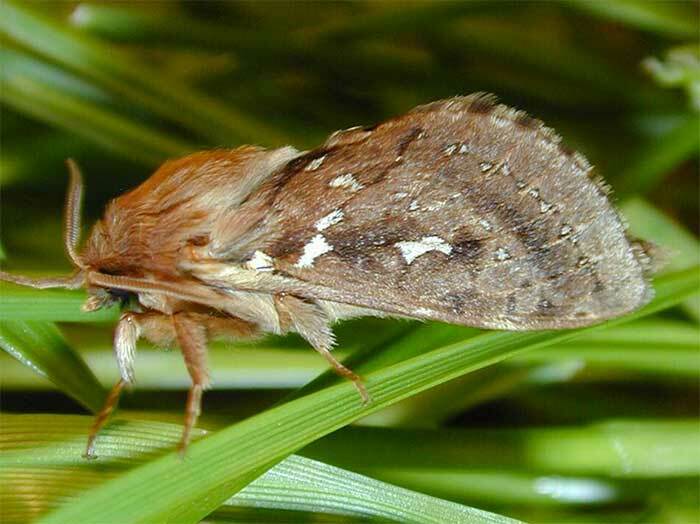 During these flights female moths may lay up to 3000 eggs scattered over the surface of pasture or grassy areas. The eggs hatch in 10 to 21 days and the young caterpillars construct silk lined casings on the soil surface. 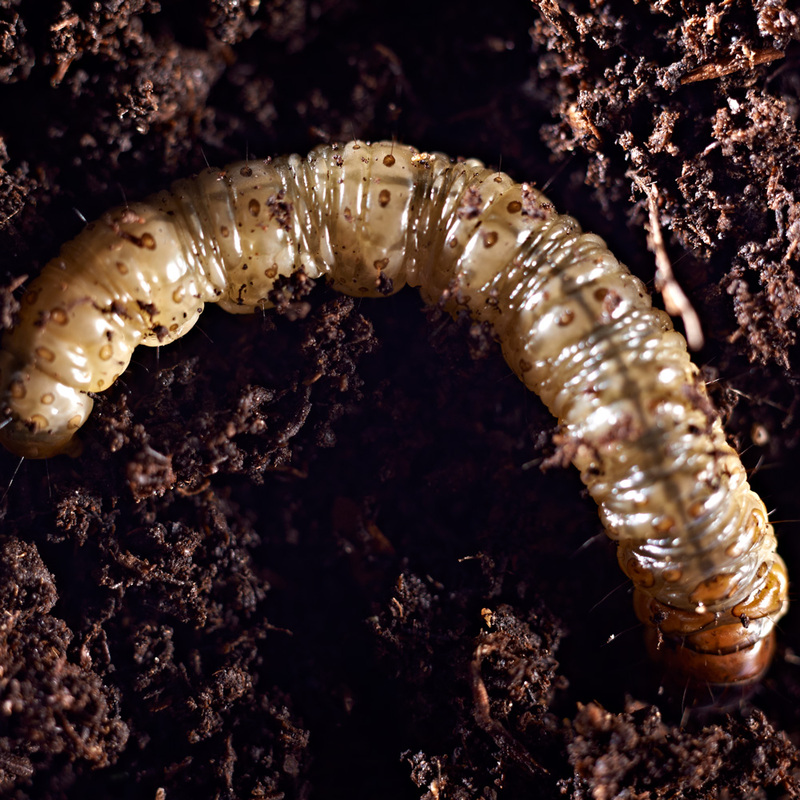 As the caterpillars grow they construct permanent burrows in the soil which eventually reach a depth of about 250 mm. They emerge from their burrows at night to feed, severing grass and clover leaves at the base of plants and dragging these back to their burrows where they are eaten. The caterpillars are reluctant to venture far from their burrows and pasture damage initially appears as 5 to 6 cm in diameter bare areas around burrows. 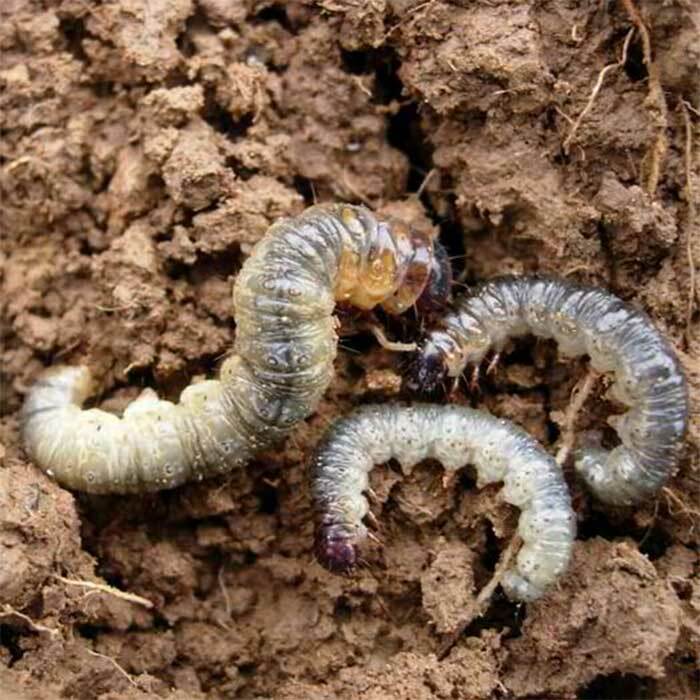 As food is depleted they move further from their burrows and if sufficient caterpillars are present large areas of pasture are damaged or destroyed. Development from egg to adult takes 12 months. For those species studied, eight to nine instars (stages between moults) appears to be usual. There are seven porina species (Wiseana cervinata, W.copularis, W. fuliginea, W. jocosa, W. mimica, W. umbraculata and W. signata), 3 of which comprise 2 sub species each, and they are difficult to distinguish from each other. Although traditionally porina have been viewed as a species complex that can be treated as one species, this is no longer considered a valid approach. For pest management purposes it is important for a farmer to know whether spring , summer or autumn flying species predominate on their property. The distributions of the species overlap and as many as four species have been recorded co-existing in pasture. Although, with experience, moths can be visually identified to species the caterpillars cannot and DNA technology must be used. Based on adult flights W. cervinata and W. copularis are traditionally thought to be the major pest species and molecular identification of caterpillars suggests W. copularis (which has early and late flying sub species) to be the most widespread and probably the more significant of the two. It is likely that most species could cause local or occasional damage but W. signata and W. umbraculata appear uncommon in improved pasture. The most significant difference between species from a pest point of view is the timing of moth flights and therefore the timing of caterpillar development. W. cervinata moths emerge and lay eggs in spring and are seldom seen after December. W. copularis moths may also be present in spring but their main emergence in the South Island is in January and in the central and lower North Island in late February early March. In Westland autumn flights of W. copularis also occur and there is some evidence that, currently minor, autumn flights may also occur in the southern South Island. Several months can separate the main flights in any one area. This means that the development of caterpillars of early flying moths may be three months ahead of caterpillers from late flying moths. While this will have minimal effect on the effectiveness of organophosphate insecticides it is an important consideration when applying diflubenzuron which is most effective against early larval stages. Porina occur in most pastures most of the time. 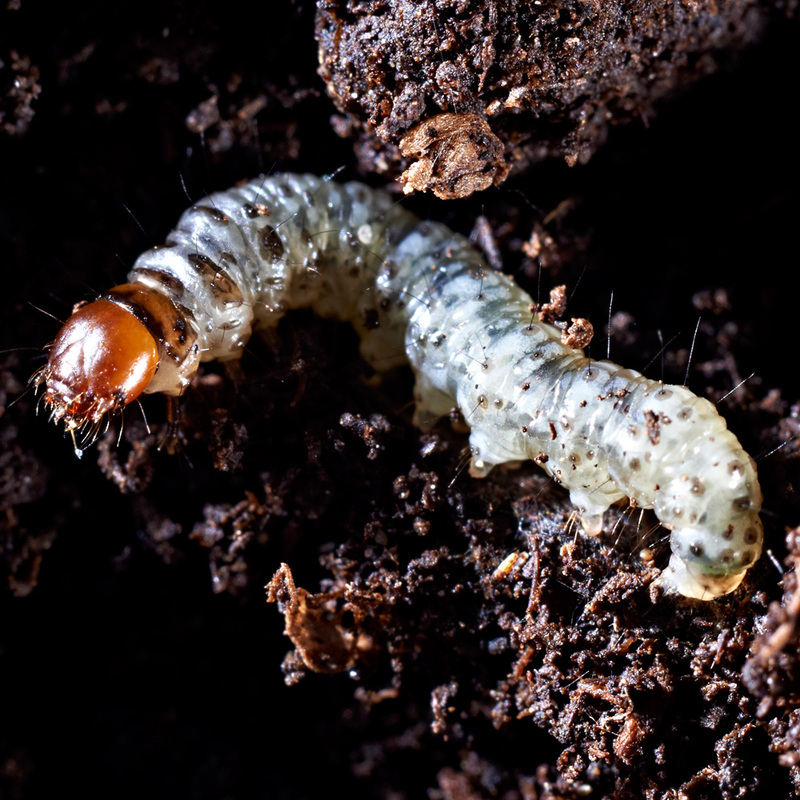 Whether or not they attain pest status is largely governed by weather over the time eggs hatch and while young larvae are living on the surface, and natural occurrence of diseases. Porina are prone to several diseases which can only persist if porina are present. Porina outbreaks, and therefore damage to pastures, usually occur when the porina/disease association is disrupted. Disruption occurs when porina numbers are too low to enable disease organisms to persist. Commonly this is a result of cultivation but may also be due to drought, occasionally insecticide use and in high rainfall areas, such as Westland, very high soil moisture. Multiple dry or wet years may exacerbate later damage. 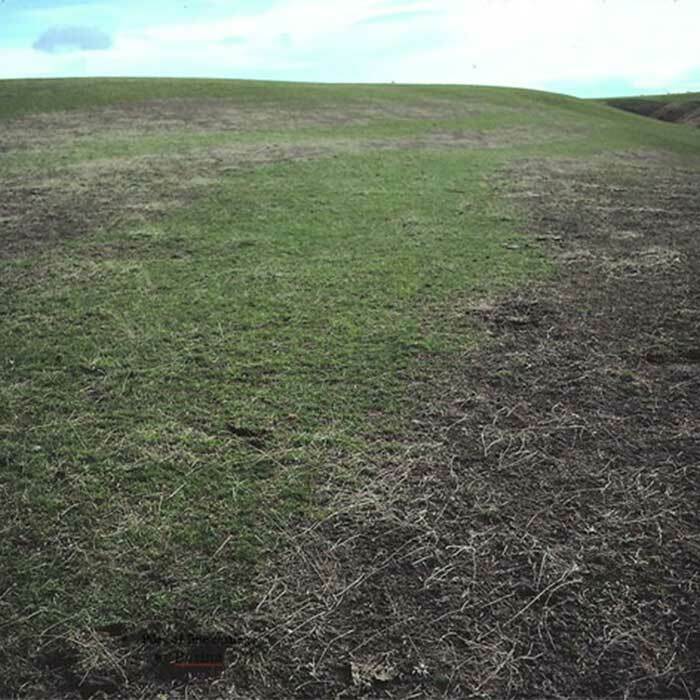 In the years following disruption, porina populations increase and cause pasture damage, before disease organisms build up enough to reduce porina numbers to below damaging levels. 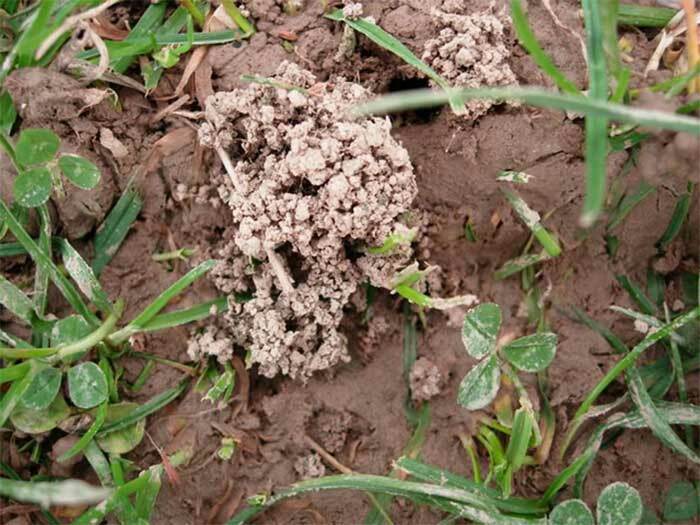 The outbreak most often occurs 2-3 years after the disruption so damage to young pastures, established using cultivation, typically occurs in their second and third winter although 1 and 4 year old pastures may also be hit. Pasture renovation by direct drilling favours retention of porina diseases in the soil reducing likelihood of damage. When the porina outbreaks are the result of drought, pastures of any age can be affected. Porina are grazers. At low densities they are direct competitors with stock for food and reduce the amount of foliage available. At higher densities plants are destroyed allowing inferior plant species to establish reducing long term pasture quality and production. 100 or more porina/m2 (4 or more per spade) will result in major pasture damage. Pasture plants will be destroyed, bare areas in pasture will develop and weed species may establish. The amount of pasture produced and the quality of that pasture will be reduced. Take turves 200 x 200 mm (standard spade spits) x 30 mm deep at least 10 per pasture, invert under a heat source over a container of water overnight, porina will drop into the water where they can be counted and may be very small. 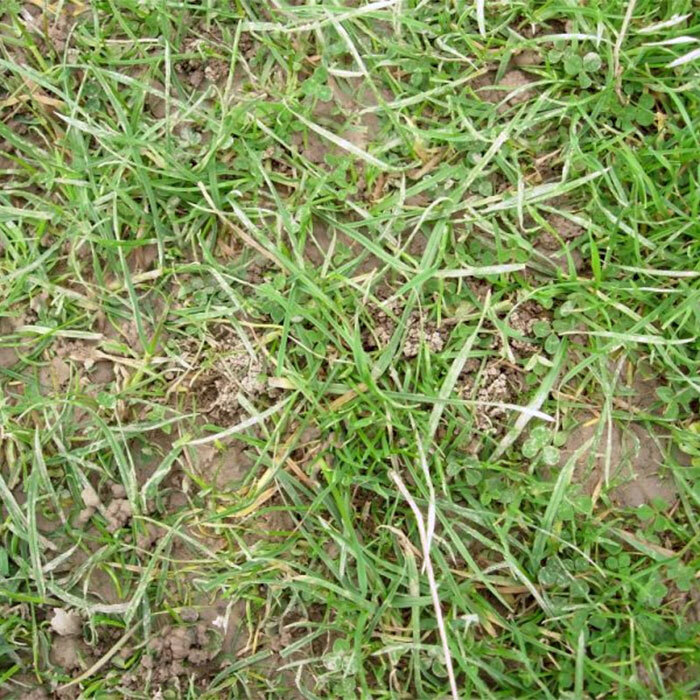 Use insecticide to indicate pasture loss – Apply insecticide to a strip (2 x 20 m) of pasture where it can be easily seen. 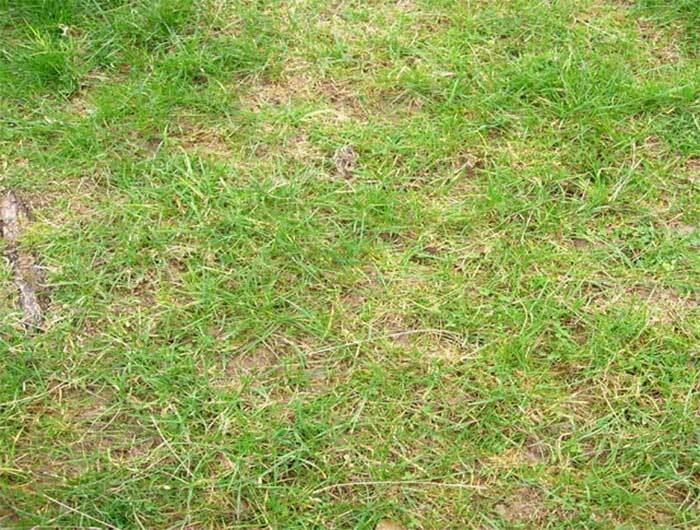 If strip appears greener than surrounding pasture after 3-4 weeks a pest is causing damage. Dig and sort soil to determine if that pest is porina. Dig and hand sort soil, up to ten spade spits per paddock (if high numbers are present less will do). Sample as for small caterpillars above. Densities greater than 2 per spade square (50/m2) will cause damage (see Impact). There is currently no biological control option for porina. AR37 ryegrasses, cocksfoot and tall fescue are not palatable to porina – feeding may focus on clovers growing with these grasses.